Find free classifieds for Property for sale for sale or to buy in Rajasthan. FREEADS in India offers you a platform to post free advertisements or classifieds for Property for sale, Rajasthan. FREEADS in India helps you search, find, buy, sell, rent or hire in various categories like apartments, goods for sale, local services, cars , jobs and many more in Rajasthan. Shown below are ads available in Property for sale, Rajasthan. You can use search box above to refine your search. Kota stone is a naturally available and fine-grained variety of stone originated from Kota, Marble Slabs Tiles has a timeless beauty. http://www.kotastonewala.com/kota-stone/. Prop On Web is a real estate portal by Gravity Inc. to promote, market and sell real estate products of individuals or developers. Gravity Inc. is a partnership firm where every team member brings a precise skill and extensive knowledge of sales and marketing to each project. As a team, we specialize in the branding, consulting, marketing and sales of projects which are yet to be launched, under construction and ready possession. Get ROI of 8.50 % PA by Investment in Operational & Ready INOX Cinemas (4 Screens) Property: The Mall. Location : Rajasthan. Brand: INOX Cinemas. Screens: 04 Total Seats: 750. Total Area: 47, 700 Sq.Ft. (4 screens + Cafeteria + Entry Lobby + Rest Rooms + Projector Room + Exit Lobby) LEASE TERMS:- Lease Tenure: 9 years (3+3+3) Lockin Period: 3 years Lease start date : Oct, 2015. Our projects of Farm houses on Delhi-Jaipur highway are situated above the impressive mountains and surrounded by the dense hills from all the sides. Our naturevalley farm houses are equipped with all Amenities Street lighting , Cement/concrete roads, walking path connecting to each farm, storm water drainage, common children parks as well as parking area. Ratnawali Infrastructure is Brand in Real Estate Business offers Industrial & Warehouse Land for Upcoming Projects of Govt. Approved on Phagi in Jaipur with all suitable infrastructure facilities in Jaipur, Kishangarh , Ajmer, Shahpura. Contact Information 14 – A, Vishnupuri, Jagatpura Road, Malviya Nagar, Jaipur – 17 Rajasthan, INDIA Mobile : 9001661668 Email : sales@ratnawali. Manokamna reality came into existence with a dream to provide best investment and residential opportunities for its esteemed and valuable clients. It gives a project in which you can buy 50 yards plot size house with the installment of 4 year and you have to pay 4250/- per month.. Newly Constructed Luxrious 2BHK Flats At Prime Location JP Colony (Manyawas) Mansarover , Jaipur 	Ready To Shift 	JDA Approved 	90% Loanable 	2.70 Lc. Subsidy 	Semi Furnished 	Covered Parking 	Lift Facility 	Royal Play Color 	24 Hours Water Supply 	False Ceiling. The project addresses maintenance concerns while providing convenient living in the upcoming posh zone. Neither there are complications of parking space purchases in addition to the flats, nor one has to pay for the extravagant clubhouse or the additional services. Nestle in privacy and peacefulness, minus the amplified outdoor elements, the place offers exquisite homes that are cost effective. Labana Developers stood the test of the time by offering a comprehensive suite of extraordinary and uniquely structured residential properties to the prospective home buyers and fence sitters looking for best and quality homes under the most competitive price deals. 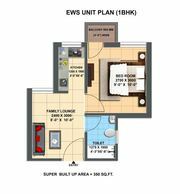 Our options of residential flats like EWS (1 BHK) and LIG (2 BHK) are available at the affordable price range of Rs 7. Contact numbers for Real Estate and Builders in Jaipur. Top 10 Builders in Jaipur - Find list of top developers and real estate companies along with their professional experience, upcoming, completed and ongoing project in Jaipur online on Pinkcity Royals.com.. Okay Plus Group is a well renowned real estate builder in Jaipur, Rajasthan. It provides "Residential & Commercial Properties in Jaipur" at the most preferred locations of the city. For more details visit at http://www.okayplusgroup.com/. Okay Plus is well renowned real estate builder in Jaipur, Rajasthan. It provides "Residential & Commercial Properties in Jaipur" at the most preferred locations of the city. For more details please visit at http://www.okayplusgroup.com/. Okay Plus is well renowned real estate builder in Jaipur, Rajasthan. It provides "Residential & Commercial Properties in Jaipur" at the most preferred locations of the city. One can know more about "Real Estate Builders in Jaipur" after visiting at http://www.okayplusgroup.com/. Okay Plus Group is one of the most successful & well established real estate builder at Jaipur, Rajasthan. It provides several sorts of residential, commercial & township property in Jaipur, Rajasthan. Satya Palace is an Upcoming Residential Projects in Jaipur, Rajasthan. To know in details visit at http://www. Shivgyan Luxora offers luxurious 2, 3, 4 bhk flats c scheme Jaipur with all modern amenities. for more details visit here: http://www.shivgyan.com/luxora-overview.html. Triangle Engineers Pvt Ltd offers world class luxury villas in jagatpura jaipur surrounded by greenery, known as Triangle Crosswinds. Contact for your dream home For More Info :- http://triangleengineers.org/listing/villas-in-jagatpura/. Triangle Engineers Pvt Ltd offers best properties for sale/ rent in Jaipur at prime locations. Buy property in Jaipur that are available according to your Choice. For More Info :- http://triangleengineers.org/properties-in-jaipur/. Welcome to DMIC project. Delhi Mumbai Industrial Corridor presents efficient integration between industry and infrastructure leading to overall economic and social development. We SNC developers well known real estate partners are presenting properties in DMIC project. http://www.sncdevelopersindia.com/. Residential Apartments and two bedroom flats in Jaipur for sale posted by Owner, Agent and builder at premium locations in Jaipur. For get more Info visit : www.ownaroof.com/3-bhk-flats-jaipur. Triangle Engineers Pvt Ltd offers world class luxury villas in Jaipur surrounded by greenery, Contact for new villas in Jaipur and find the best deals for villa with Triangle Group. For More Info :- http://triangleengineers.org/villas-in-jaipur/. 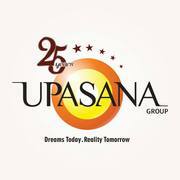 Upasna Real Estate and property Developers in Jaipur strives to become the most successful real estate company in the Jaipur by earning the customer loyalty and trust through continuous and quality driven growth based on the sound principles of integrity, business ethics, product innovation and contribution of committed work force, thus enabling human life to be easier, building better living india. we offer JDA approve residential plot or Township in Jaipur with all modern facility or features if you need a apartments for features investments in jaipur please call us we will provide you a batter opportunities and features for more information call us 9829085860 and visit our website : http://rajasthan. 3bhk & 4bhk luxury flats in jaipur offer by Apekssha Group. We offer 3bhk & 4bhk residential luxury flats or apartments in jaipur. which is locate at Sirsi Road, Near Vaishali Nagar, Jaipur. apartments having all modern facility or features and many more.if you need any information regarding property please call us at 09829085860 and visit our web site: http://www. India ads for Property for sale, Rajasthan, Property for sale free ads Rajasthan, Property for sale for sale Rajasthan, Property for sale to buy in Rajasthan. This page is a classified ads listing for Property for sale Rajasthan. This listing includes classifieds for sale and to buy in Rajasthan. If you posted an advertisement on Property for sale, Rajasthan before please use Edit my ads button to change or cancel your ad. 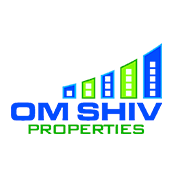 Property for sale Rajasthan ads Rajasthan, Property for sale classifieds Rajasthan, Property for sale free ads Rajasthan, ads for sale Rajasthan, ads to buy Rajasthan, FREEADS in India. Find here ads for sale, to buy and rent in Rajasthan. 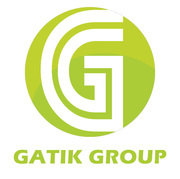 Goods for sale in Rajasthan, vehicles for sale in Rajasthan, Rajasthan real estate for sale, Rajasthan property for sale, property for rent in Rajasthan, business ads in Rajasthan, Rajasthan business classifieds, services in Rajasthan, Rajasthan services ads, jobs in Rajasthan, pets for sale in Rajasthan, Rajasthan dating, Rajasthan cars for sale.